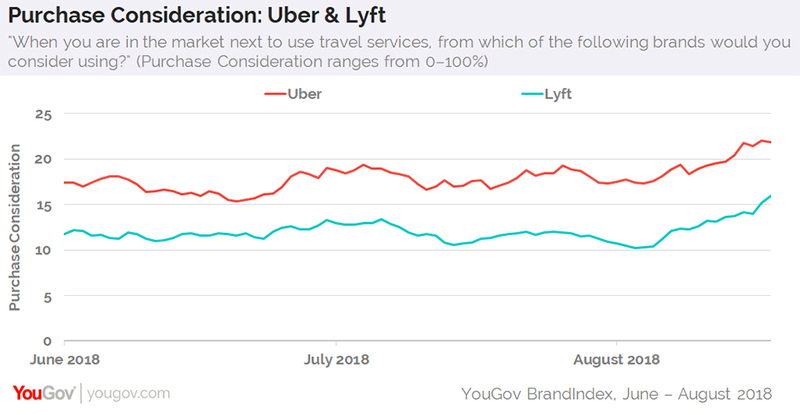 August 23, 2018, 3:30 p.m.
Just a few days ago, Uber&apos;s Purchase Consideration score — which gauges how open US adults are to using the brand the next time they need to travel — reached an all-time high of 22%. This indicates that over one in five Americans are receptive to the idea of Uber taking them to their desired destination, whether that be work, a friend’s house, or the airport. Lately, Uber’s Satisfaction score has climbed to 16, while Lyft&apos;s has reached 10. 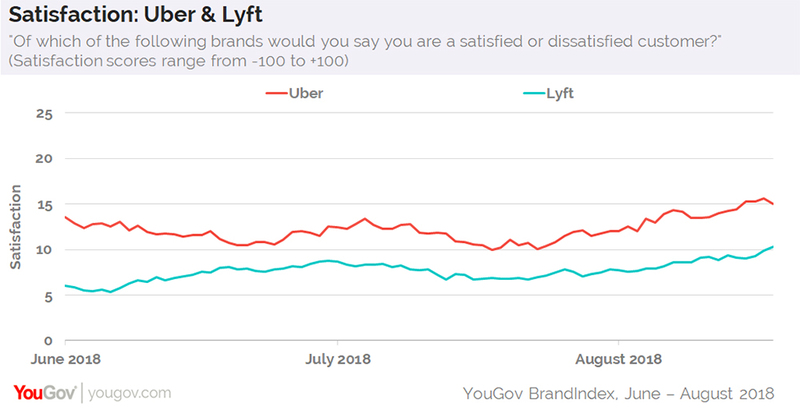 Around this time last year, Uber’s Satisfaction score sat four points lower at 12, while Lyft&apos;s was down three points at seven. 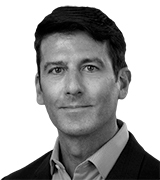 Numbers from YouGov Profiles reveal that 48% of US consumers who&apos;ve used Uber in the past 12 months fall between the ages of 18 and 34. The same is true for 54% of Lyft users who’ve used the ride-sharing service in the same period.